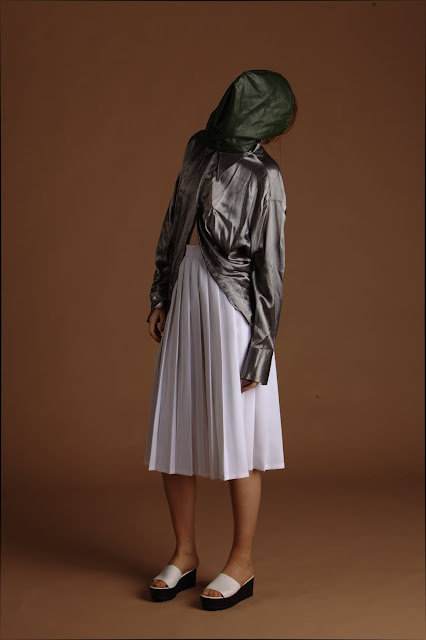 we then sat down as a group to choose our final photos and edit them to reflect the Margiela brand more accurately. We added the Margiela tag to the images, in a similar fashion to how this tag was used in the Margiela H&M shoot. 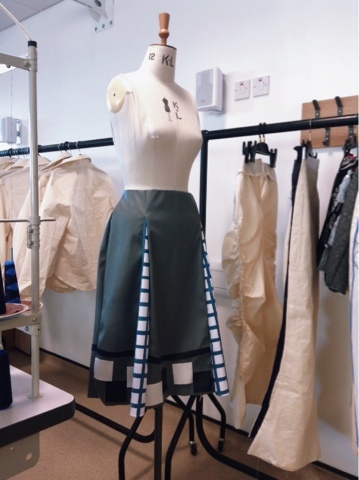 We recently had a very exciting project at college where we partnered with ASOS to produce a skirt suited for their customers. My chosen decade of research was the 90s and within that decade I decided upon using the theme of technology. I enjoyed the illustration aspect of this project, I adapted my illustration style slightly to mimic Microsoft Word Clip Art, in order to enforce my 90s technology theme. I liked doing something slightly different with my illustrations: Adding bold lines and partially colouring the illustrations was quite refreshing compared to how I usually decide to illustrate. Unfortunately I don't have many images of these illustrations as I've been having issues with my computer, but here are some I managed to find on my Ipod. I'd also like to add, out of all the projects I've done at college so far, these are by far my most favourite design boards. They're a bit more simple than what I usually go for, which I like a lot. Here's my skirt, to say I don't enjoy sewing I'm pleased with how this came out, I'm really glad I added the grid print (which I printed onto the fabric myself by the way) as I think it really strengthens the technology theme. If I'm honest, I kind of wish I hadn't added the applique details as I think they make the skirt look a little too busy, but maybe I'm just saying that because they were such a hassle to put on! I've definately learnt a lot during this project and it's made me feel very eager and ready to make a start on my FMP, bring it on! 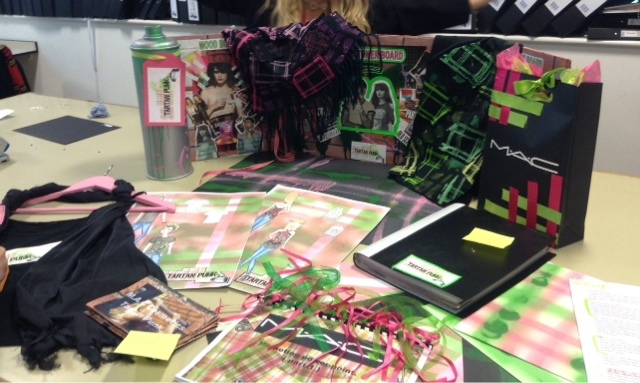 M.A.C Cosmetics Marketing Project: Done and Dusted! This is quite a delayed post as our M.A.C project ended quite a few weeks ago, but I just got my results back for the project today (which were very positive, yay!) so I thought I'd share with you what the whole thing was like and how it turned out! First off I'll tell you what the project brief was and what we actually ended up doing, before I get too ahead of myself aha. Our brief was to design and market two promotional t-shirts, in groups of four, for a M.A.C lipstick collection of our choice. As a group we decided to fuse two of our favorite lipstick collections together, Punk Couture and A Tartan Tale, which we appropriately named Tartan Punk. I'll not bore you with hundreds of details, but by the end of it all, we'd created two T-shirts, a promotional scarf, staff uniform, illustrations and spec drawings, a styled photo shoot, a press release, a marketing report and packaging. 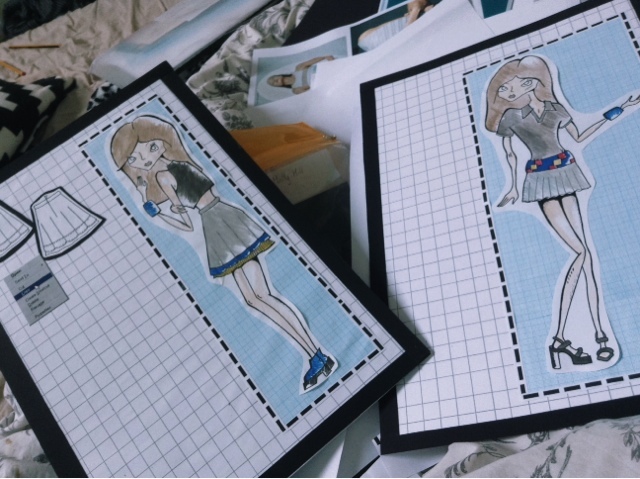 As it was group work however all these tasks we're split between us, and I ended up with the task of illustrations and specs, the press release and part of the photography for styled photo shoot as me and another group member decided to share this task. Not the best photo, but here's all our work together! we didn't actually use this one in the lookbook as we thought the people from m.a.c might not like the fact our male model is smoking as it may reflect badly on m.a.c's image, but i think the smoke came out really well on the photo so i like it a lot! This is the first assignment we've done at college that has really stood out to me as something a bit different and as a huge learning curve. For starters it was a group assignment, the first one we've done actually, which made me a little apprehensive as I was unsure if it would go well or how I'd react to criticisms of my work from the rest of my team. Luckily it went like a charm and we all worked together really well (phew!). The second thing that really really made this project stand out to me was the fact that we'd actually be presenting our finished work to people from M.A.C Cosmetics. It was quite daunting to say the least, and I'm an awful public speaker! Thankfully though that went pretty smoothly too (more thanks to my other team members really) and the feedback we got of our finished work and presentation of it was really positive! Overall I really enjoyed this project and I think I learnt a lot from it, I'm looking forward to doing similar things in the future! A Day At The Zoo: The Start Of A New College Project. this fence's shape could make an interesting element in a fashion print! how many crows can you spot in this photo?? They seemed to love the little water fall! cute little ducklings balancing on a log, they kept it up for a long while, bless them. I thought all the different heights made this look really cute! Another nice inspiration for fun fashion prints. tried to get an action shot of the bee! 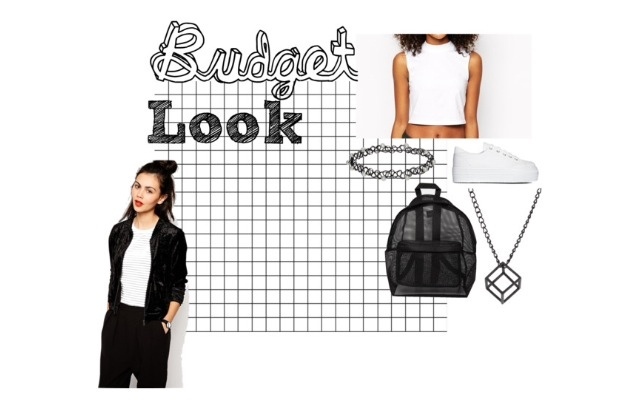 I think this ones pretty cool... Might end up using it! god bless these fish for being still enough to snap a good pic! thanks for taking the time to read this! The thought of having to pick 5 of these pictures to do life drawings of is so daunting to me, drawing is tricky! But I'm still looking forward to it regardless, it'll be fun to try something new! Now I'm just left with the task of picking my favorite 5.... agh!